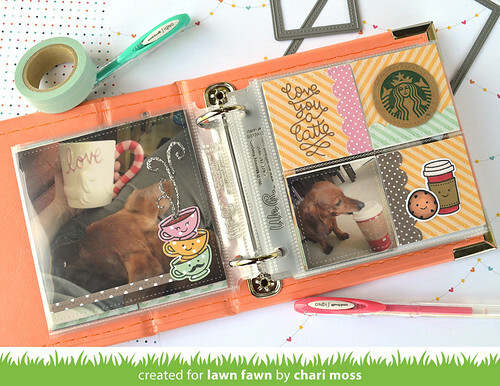 It's the final day of Lawn Fawn Inspiration Week. 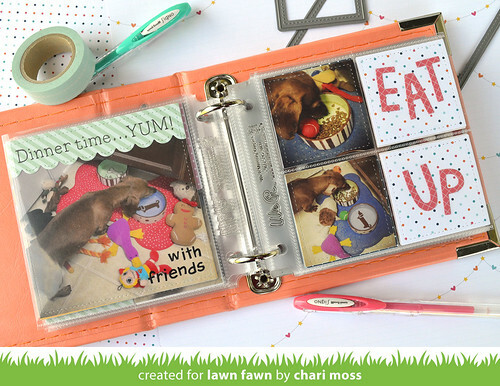 Today we are featuring the new Stitched Square Stackables. 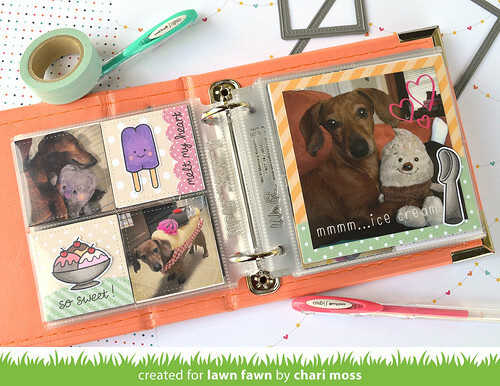 These squares are perfect for creating albums with the newer page inserts now on the market that have square pockets. 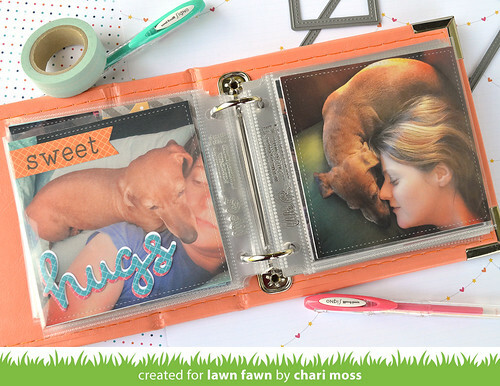 I created my album using a mini album from We R Memory Keepers. 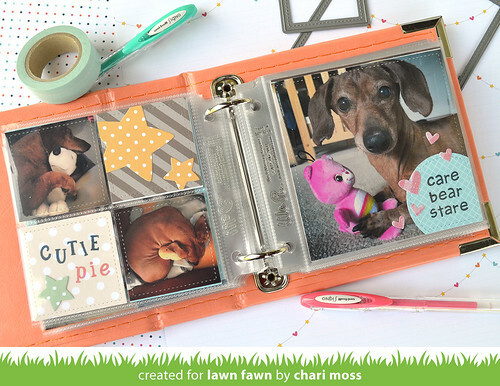 Check out the Lawn Fawn blog for more projects with the Stitched Square Stackables dies. that album is absolutely adorable! great work. Love this!!! What a great idea! 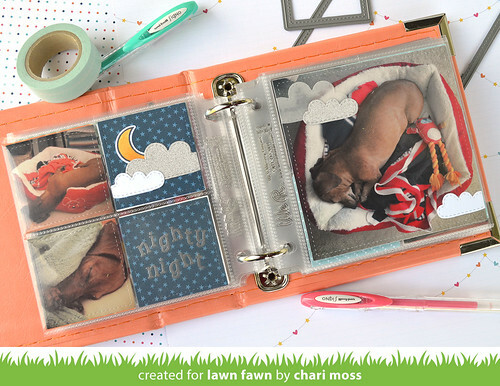 I need to make one of these for each of my dogs!!!! Great album Chari. I love how you incorporated the LF stamps/dies into your SB pages. Great work as always! 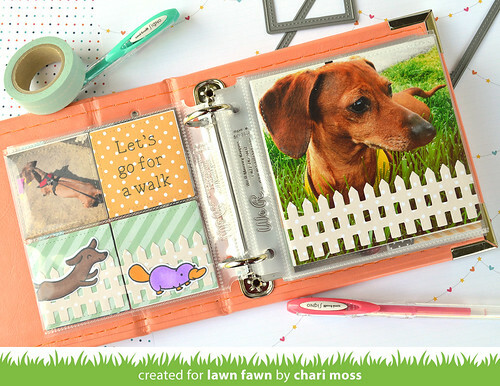 Oh, Chari, what a wonderful little book! 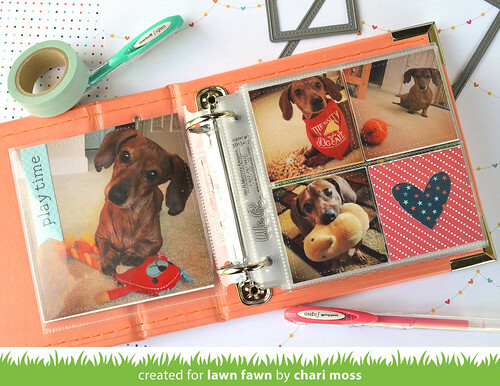 I can see how loved this little pooch is and what a great relationship you share! 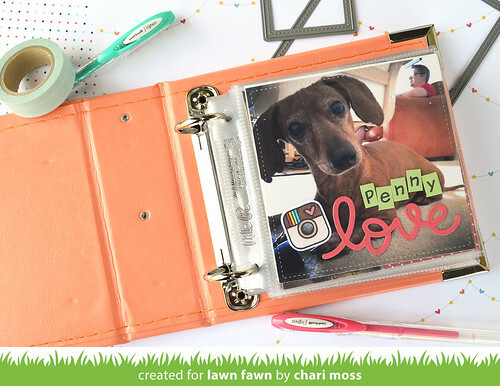 The book is beautiful and filled with great scrapbooking ideas. Thanks so much for sharing this! 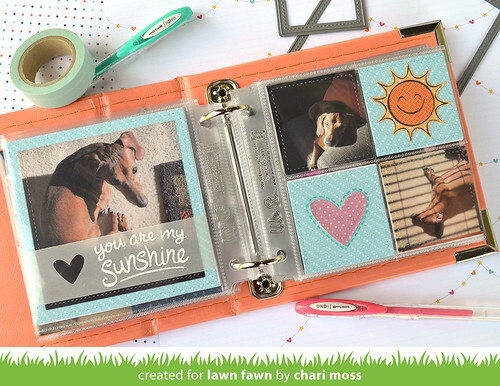 Sweet album...love the cute pictures of your furry friend.